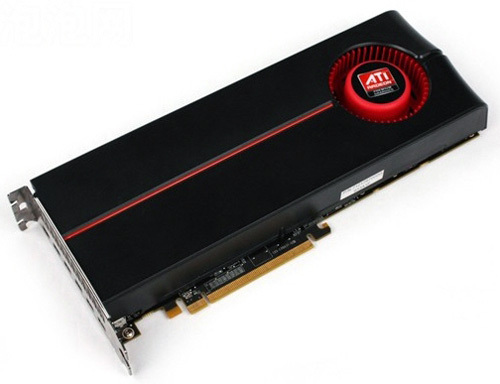 Users can also benefit from a well-developed ecosystem around ATI Eyefinity technology, including broad support by the game development community. Updates in the latest ATI Catalyst™ graphics driver software continue to improve the ATI Eyefinity experience by periodically enabling new features, while a partner program exists to help assist users in identifying ATI Eyefinity-validated components to use in their set-ups. 2GB of GDDR5 memory to enable high frame rates and image quality settings in the latest DirectX® 11 games in three- and six-display gaming setups. Full display flexibility right out of the box, with the inclusion of five adaptors4: two mini DisplayPort to DisplayPort adapters, two passive mini DisplayPort to DVI dongles, and one passive mini DisplayPort to HDMI dongle. Support for 3×2 display configuration with new configurations supported in upcoming ATI Catalyst™ software updates. Broad support for software developers worldwide including Bioware, Codemasters, EA, and Turbine who have adopted ATI Eyefinity multi-display technology in the latest DirectX® 11 games such as DiRT™ 2 from Codemasters and Battlefield Bad Company 2 from EA DICE. 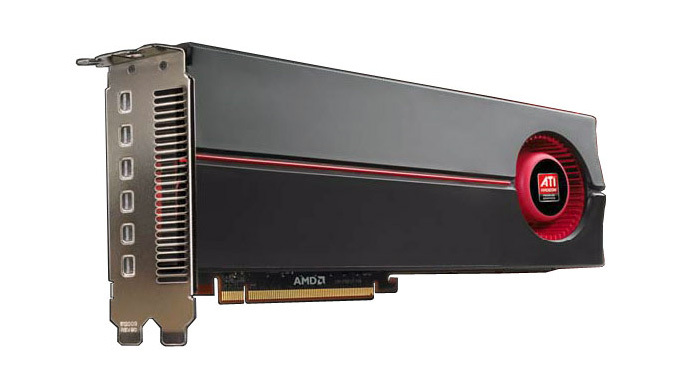 The ability to use ATI CrossFireX™ multi-GPU technology in conjunction with ATI Eyefinity multi-display capabilities as released in ATI Catalyst™ graphics drivers version 10.2, enabling increased gaming performance when driving high-resolution ATI Eyefinity display groups. ATI Eyefinity technology enhancements were made available in ATI Catalyst™ graphics update version 10.3, including bezel compensation, which helps simulate a more integrated display surface by adjusting for display bezels.